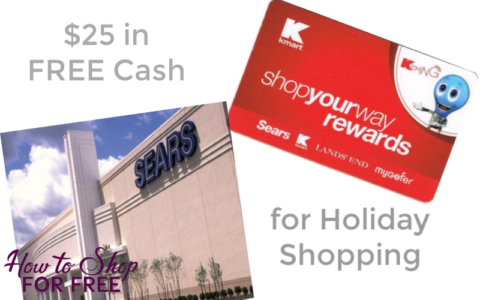 Who wants FREE Cash for Holiday shopping at Kmart and Sears? Text THANKS to Kmart at 56278 to get $10 in FREECASH valid in-store only from 11/18 – 11/25. Text TURKEY to Sears at 73277 to get $15 in FREECASH valid in-store only from 11/18 – 11/25. Also available: Text GRAVY to Sears at 73277 to get $60 off of $500 at Sears valid in-store only from 11/18 – 11/25.